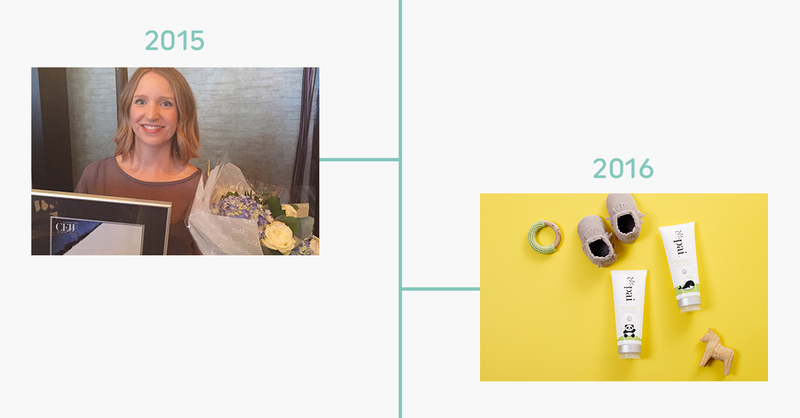 From a garage and a hand whisk to department stores around the world; we’ve come a long way in ten years. 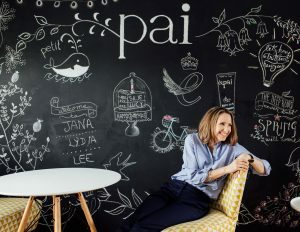 Pai’s founder, Sarah, began formulating products from a converted garage in west London – not far from where we make Pai products today – as a solution to her own sensitive skin problems. With so many options out there for sensitive skin aimed at ‘normal to dry’ complexions, she began with four Moisturisers and an Eye Cream for reactive skin of all kinds. Sarah set about getting Soil Association Certification for the range and received approval in 2007. 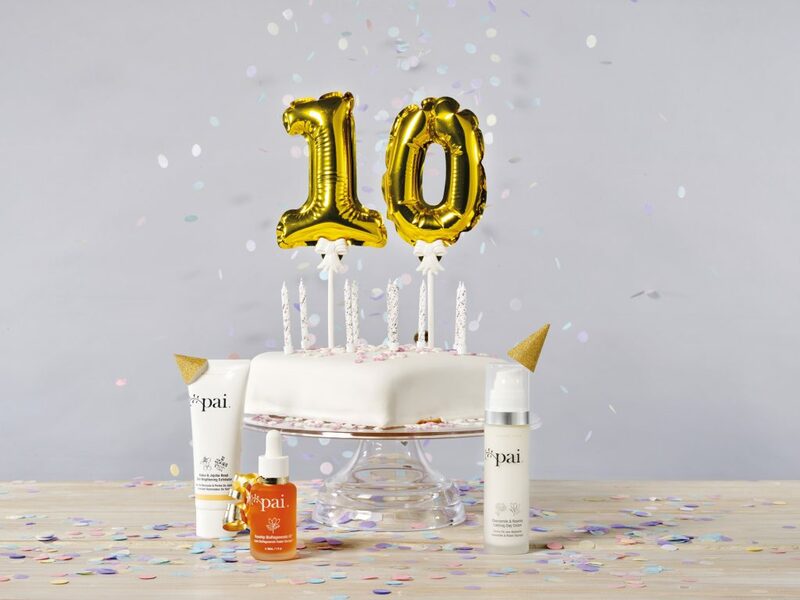 Content Beauty was the first store to have Pai Skincare on their shelves – our very first trade account, which still carries Pai today. Great skin starts with proper cleansing. We launched our bestselling Camellia & Rose Gentle Hydrating Cleanser. 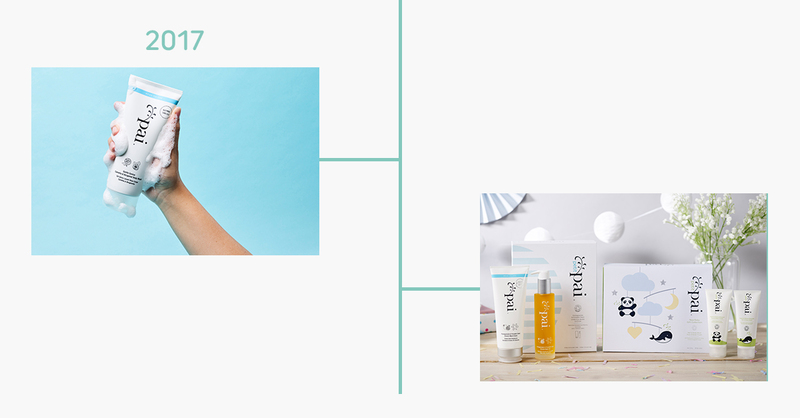 Sarah was early to the blogging scene with the launch of the Pai blog (now known as The Pai Life) to document her experiences with sensitive skin, plus skincare and wellbeing tips. Pai’s very first employee joins the company. 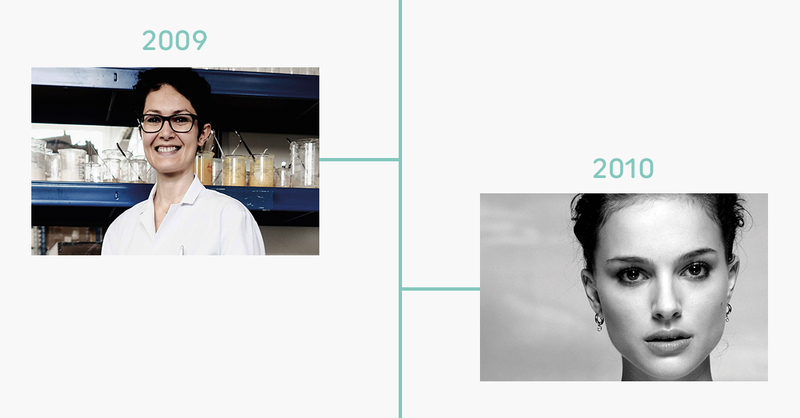 Still, with Pai to this day, our R&D Cosmetic Chemist Jeanne-Marie took on the challenge of formulating certified organic products and helped refine the existing range. We know sensitive skin affects more than just our faces, so we introduced our Fragonia & Sea Buckthorn Hand Cream and Comfrey & Calendula Calming Body Cream. We receive a call in for products to be used on the set of ‘Black Swan’. We later discover actress Natalie Portman adored the products and has become one of our highest profile fans. The Pai team grows to 3 as two account managers join the team to handle our new stores, including Planet Organic. Both Holly and Gemma are also still with us to this day! 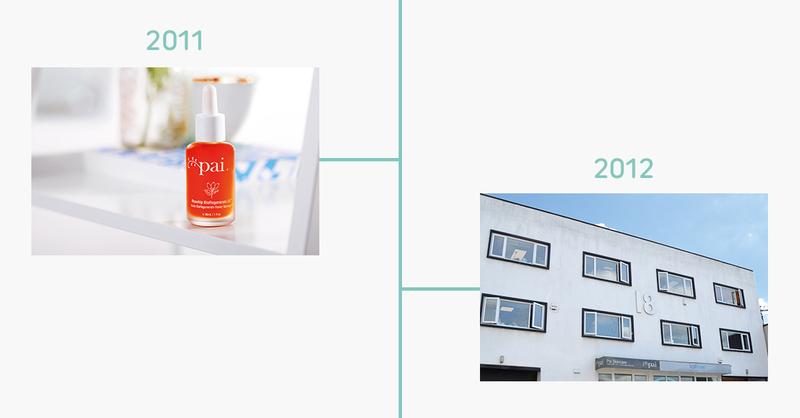 A year of product launches; our iconic Rosehip BioRegenerate Oil and BioAffinity Tonics joined the Pai lineup. We also introduced Pai Professional – our spa range that allows even those with reactive skin to enjoy the benefits of a professional treatment. Kukui & Jojoba Skin Brightening Exfoliator and our Rosehip BioRegenerate Rapid Radiance Mask. 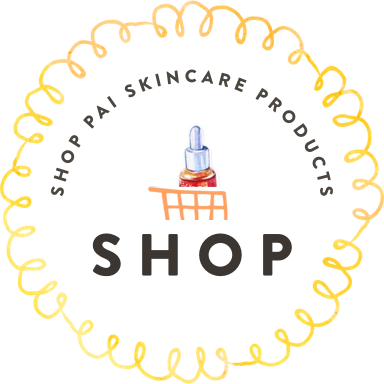 We sent a thank you to a (then-pregnant) Natalie Portman in the form of a Pumpkin Seed Stretch Mark Oil. She loved it so much, we launched our Pomegranate & Pumpkin Seed Stretch Mark System. We outgrew our office and moved to a new, larger Pai HQ in west London. Our Echium & Amaranth Age Confidence Facial Oil was added to our range, along with our Copaiba Deep Cleanse AHA Mask. We scooped our first manufacturing award from EEF. We embraced social media and posted our very first Instagram! We launched our Copaiba & Zinc Perfect Balance Serum and our Instant Calm Redness Serum – Sea Aster & Wild Oat. Pai on-the-go! 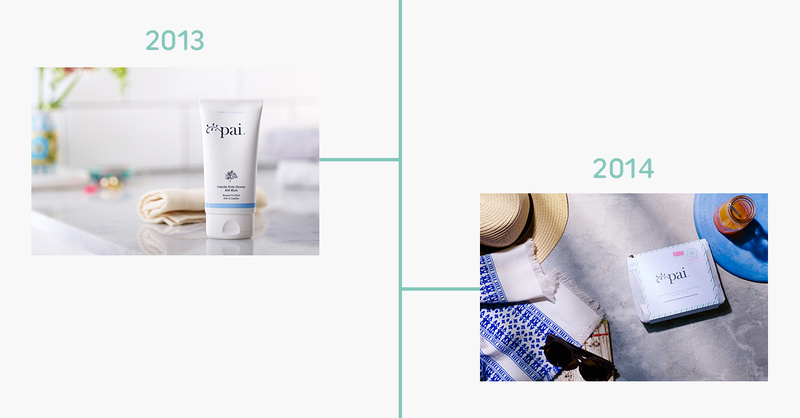 We launched our Anywhere Essentials Travel Collection to take on long weekends and trips abroad. Paris calling! We launched in the French department store, La Bon Marche and beauty boutique Oh My Cream. Sarah won the CEW Achiever Award. Our Exfoliator got a makeover with brand new, easy-to-dispense bottle. We launched our Head to Toe Hero Buriti Balm – free from beeswax, lanolin and petrolatum! We brought the Pai range to your little ones, with our Petit Pai range. Royal Approval! We won the Queen’s Award for Enterprise. Over the pond, we launched into Free People’s Beauty & Wellness section and exclusive beauty boutique Violet Grey. The Pai Team reached 30. Onwards and upwards – we successfully raised investment backing so we could scale up and continue to grow. We upgraded our production area with the addition of a new 300kg machine, affectionately nicknamed ‘Big Bertha’, to create x 6 more product in one batch! We launched our much anticipated Camellia & Bergamot Gentle Genius Body Wash and gave our Stretch Mark System a makeover. We extended our Returns Policy to 90 days and launched into John Lewis. We’ve landed at John Lewis!